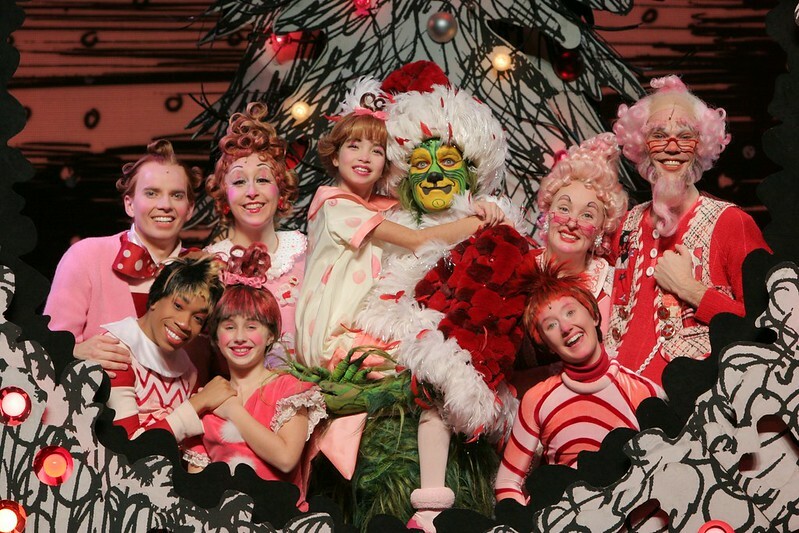 JACKSONVILLE, Fla. – Join us on Opening Night of HOW THE GRINCH STOLE CHRISTMAS! THE MUSICAL, Broadway’s #1 hit musical, on Tuesday, December 1, 2015 at the Times-Union Center for Chase Family Night on Broadway! The FSCJ Artist Series, sponsored by Chase, is partnering with Jax4Kids, PRI Productions, Savor…Jacksonville, the Jacksonville Public Library, MOSH, My Gym, Jacksonville Zoo and Gardens, and Sweet Pete’s to create special pre-show activities from 6:30-7:30 p.m. All Family Night activities, including children’s games, face painting, photo ops, coloring stations, crafts and more, are free with paid show admission tickets. Kid-friendly foods will be available for purchase from Savor…Jacksonville, the Times-Union Center’s official caterer. Audiences will find their hearts growing a few sizes along with the Grinch’s when they experience the magic of the beloved tale on stage, which features the hit songs "You're A Mean One Mr. Grinch" and "Welcome Christmas” (written by Albert Hague and Dr. Seuss), from the original animated television special. Max the Dog narrates as the mean and scheming Grinch, whose heart is "two sizes too small," decides to steal Christmas away from the loveable Whos. Dr. Seuss’ How The Grinch Stole Christmas! The Musical features magnificent sets designed by John Lee Beatty and costumes designed by Robert Morgan, inspired by Dr. Seuss’ original book, while the Music and Book of Mel Marvin and Timothy Mason breathe new life into this timeless story. The 2015 production is directed by Matt August and choreographed by Bob Richard, based on the original choreography by John DeLuca and originally created by three-time Tony Award® winning director, Jack O’Brien. 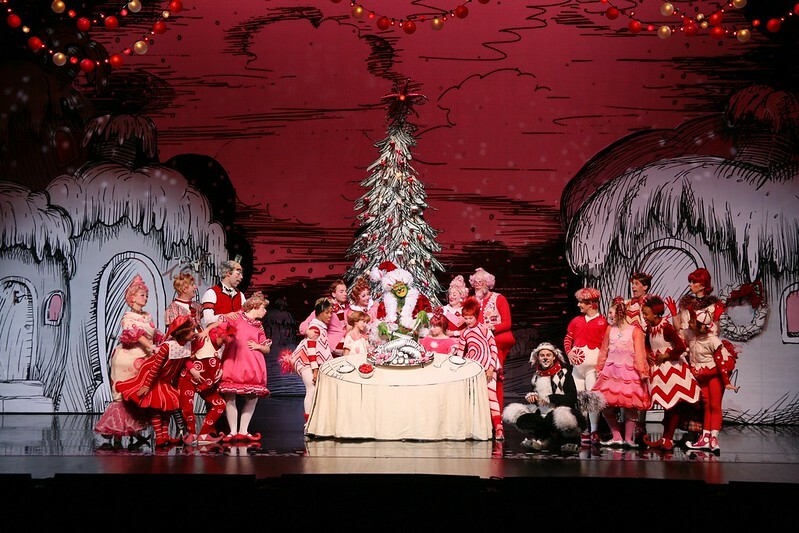 The U.S. National Tour of HOW THE GRINCH STOLE CHRISTMAS! THE MUSICAL will be performed at Jacksonville’s Times-Union Center’s Moran Theater for nine performances only, matinees and evenings. Tuesday, December 1 at 7:30 p.m. – Chase Family Night on Broadway! Wednesday, December 2 at 7:30 p.m.
Thursday, December 3 at 11 a.m.
Thursday, December 3 at 7:30 p.m.
Saturday, December 5 at 1 p.m.
Saturday, December 5 at 7 p.m.
Sunday, December 6 at 1 p.m.
Sunday, December 6 at 4 p.m.
Tickets for HOW THE GRINCH STOLE CHRISTMAS! THE MUSCIAL in Jacksonville start at $38.50 and can be purchased at fscjartistseries.org, (904) 442-2929, and the FSCJ Artist Series Box Office between 10 a.m. – 5 p.m., Monday-Friday. Discounts are available for groups of 10 or more at (904) 442-2947 orgroupsales@fscjartistseries.org. *Family night ticket offer is 50 percent off per ticket plus facility fee and service charge; facility fee and service charge not discounted. Valid for December 1 performance only. Subject to availability. Restrictions apply, not valid on previously purchased tickets, and cannot be combined with any other offer. Promo code CHILD expires at 3 p.m. on December 1 or may be withdrawn at any time. All photos courtesy of The Artist Series.